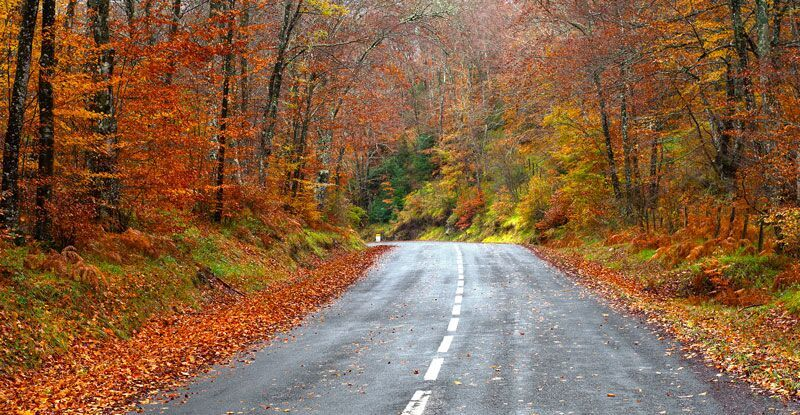 Try out these driving tips to stay safe this Thanksgiving weekend. If you are like many other Americans, you are planning on driving to a relative’s home to celebrate Thanksgiving. With thousands of others also traveling along the roadways, you are bound to encounter some tricky traffic situations. To ensure your safety, the safety of your passengers, and the safety of other motorists, here are some driving tips to employ this holiday weekend. Before you set off on your drive, make sure you check the road conditions that you will encounter along the way. For instance, check to see if you will face rain, wind, fog, or even snow on your holiday commute. Knowing your risks ahead of time will allow you to take precautionary measures like replacing your tires or windshield wiper blades. If the weather is going to be particularly severe, you may also want to consider changing your driving route to avoid the worst of it. If you are driving a long distance, make sure you plan to take frequent stops. Not only will this give all your passengers a chance to stretch their legs and use the restroom, but taking breaks will also help you stay alert and well-rested throughout the drive. Additionally, making pit stops will also allow you to switch off drivers without affecting your traveling schedule. In the days leading up to Thanksgiving, expect to see more drivers on the roadways. Additionally, as holiday stress settles in, you will likely encounter some motorists who are driving recklessly. Rather than acting aggressively towards these drivers, distance yourself from them and try to stay out of the fray. If you allow yourself to get too caught up in your road rage, you too might start driving dangerously. Rather than putting yourself, your passengers, and everyone else on the road at risk stay calm and drive responsibly. These are some of the driving safety tips you should employ during your Thanksgiving commute. Want another way to stay safe behind the wheel this holiday weekend? Make sure you have the right auto insurance protection in place. For assistance with your car coverage needs, contact the experts at The Schwab Agency today.